Has your bust of Pallas seen better days? Tired of brazen blackbirds perching willy-nilly on your priceless antiques? Well fret not! With this new original resin model kit by Tim Bruckner, troublesome ravens are a thing of the past. Titled "Boo! 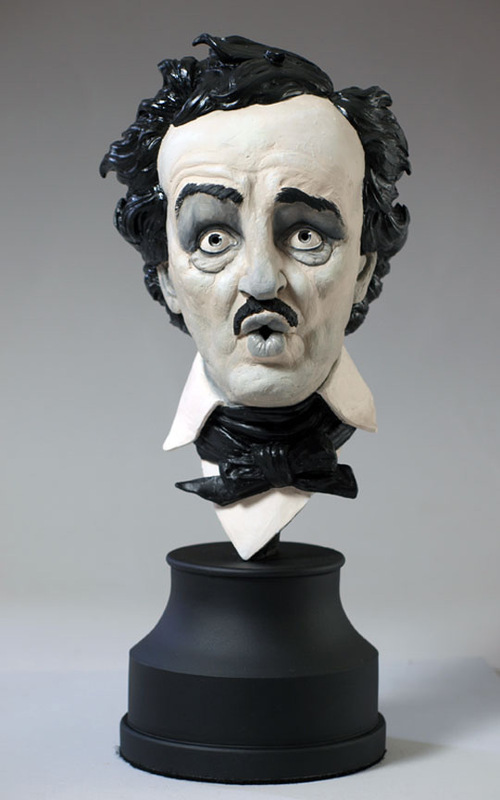 ", this unpainted 11.5" bust depicts famous author Edgar Allan Poe mouthing the word "Boo!" It won't fail to frighten off the most courageous of crows, and possibly even an aggressive orangutan. Assembles easily! Paint optional! Order your copy at http://www.timbrucknershop.com! 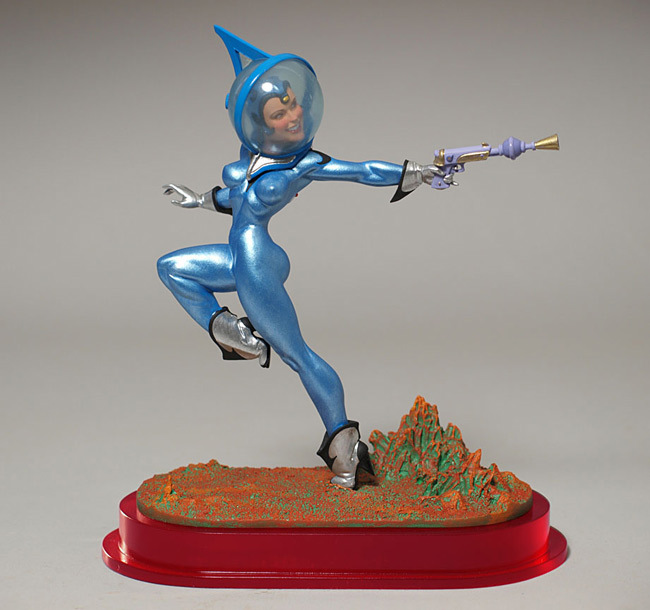 June 8, 2012 - Tim Bruckner, a veteran sculptor who has done extensive work for DC Direct, Toy Biz, Dark Horse and many others in his 43 years in the field, has just launched a new Website and store at TimBrucknerShop.com. The site will function as a portal for model kit enthusiasts to purchase his original resin kits, as well as a place for statue collectors to acquire some of his unproduced sculptures, hand-painted and finished by the artist himself. The site also has a blog where he will share behind-the-scenes commentary on his numerous creations.